Experience the finest Neurosurgical care and treatments in a multi-specialty hospital with all facilities available under one roof, round-the-clock. Providing highest standards of quality care & expertise in neuro surgery, our expert team has been at the forefront of treating a variety of neurological disorders using the most efficient and successful methods. With patient centric approach, expert consultation, latest diagnostic facilities and gold standards in treatment & care; once you come to Regency Healthcare, rest assured you’d be in the safest hands. A surgical procedure that is performed to implant one or more electrodes in a specific region of the brain to deliver high-frequency electrical impulses in the brain. This procedure is mostly recommended for patients of Parkinson’s, OCD and Dystonia. Whether the tumour is benign or malignant, our team of neurosurgeons will be with you at every step-from discovery to post-operative care. Helping you getting back to a normal life is the aim and for that our expert leaves no stone unturned. Epileptic seizures could be a result of temporal lobe epilepsy. 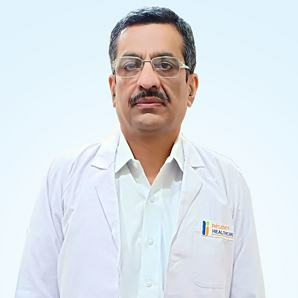 To treat the problem from the root, our expert team of neurosurgeons start with a detailed brain mapping test to spot the abnormal tissues and then make use of sophisticated technologies like stereotactic implantation of electrodes to remove the seizure causing tissues and help the patient lead a normal & seizure free life. Our neurosurgeons are just a call away to attend accident & trauma cases and save lives through prompt intervention. With state-of-the-art facilities to operate on patients with head injuries within a few minutes of their arrival, we also provide the best emergency care and environment for treatment of cases related to Brain Stroke/ Attack (Cerebro-Vascular-Accident). To efficiently manage a wide range of neuro-emergencies such as head injuries, coma of diverse kinds, cerebrovascular accidents , status epilepticus, CNS infections Guillain-Barre Syndrome with respiratory paralysis, and myasthenic crisis; Regency Healthcare has an ultra-modern neurological intensive care set up equipped with modern ventilators and intracranial pressure. Our Neuro Sciences department has some of the best Neurosurgeons in the region, performing minimally invasive surgeries of the spine and skull base, with vast experience and up-to-date working patterns.